Audio and Video is what makes today’s entertainment systems part of most people’s lifestyles. Integrating audio with a Home Automation Control system allows you to play and control music throughout your entire home. You can easily access your network play list and create a different atmosphere playing the same or different music simultaneously or independently throughout your house. Video automation allows you full access to your television, DVD player, Playstation, satellite receiver, photo library and much more! 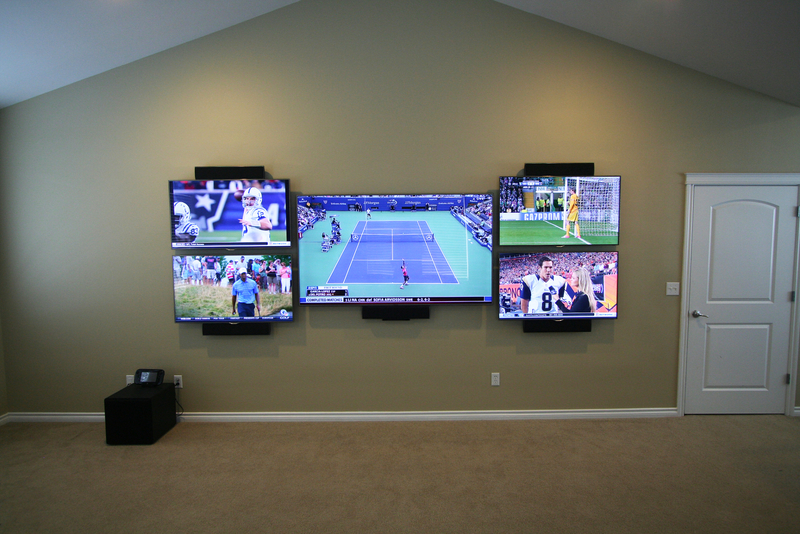 Just like your audio, each of your video devices can be controlled and viewed in any room at the same time or independently. Wondering how to bring the cinema into your home? Where to go and what to do to make that happen? Theater One is your best choice for all of your audio, video and electronic system needs. From fully customized home theaters to simple surround sound in the living room, we make it easy to add supurb sound to any room. We will work with you to choose what solutions are best suited for your preferences and lifestyle. Contact us to find out what type of solution is right for you.